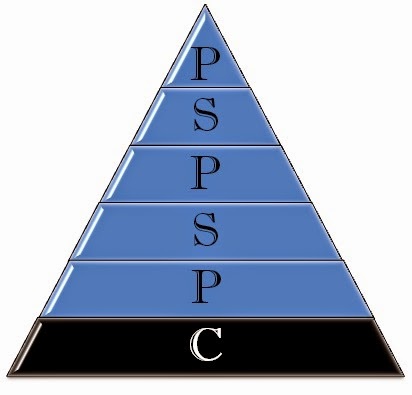 PSPSP-C Tower to improving technique in all styles. Regardless of the style of martial art that one practices, there are certain universal aspects of technique that are necessary to perform at a high level of quality and proficiency. It is not profound to say that good technique contains: precision, speed and power. But what gives rise to these elements of a technique and furthermore is there a relationship between these three and the fundamentals that are used to build these. Power is a catchall that can be defined a number of different ways. For the purpose of this discussion we will focus on external power (weh kong) as opposed to internal power (neh kong) or spiritual power (shim kong). For our purposes in this discussion we will look at power from the perspective of mass transfer. When we strike an opponent we desire to transfer as much of our body mass into the adversaries vital point with as much velocity as possible. The force we strike with is a function of mass X acceleration. To increase our power we either need to move faster or transfer more mass. The study of martial arts to a large degree is a scientific examination of mass transfer. We are “Mass Transfer Specialists”. We study the art and science of transferring our mass or our opponents mass explosively in the direction we specify. The last sentence of the paragraph above contains two important elements: explosive (speed) and specify (precision). Being able to move a large volume of mass slowly while an interesting skill, does not necessarily provide martial value in an dynamic self defense environment. Bench pressing 300 or even 500 lbs does not readily translate into a useful combative skill. Strength training is valuable to our overall health and development, however in regards to executing technique I am focusing on explosive movement. The faster we move any given mass the more force we transfer to our benefit. Furthermore while I wish to move that given mass fast, I do not want it to move randomly. When I am striking I want to be able to focus the mass transfer quickly into a very specific target (Kup Soo). The human body while strong has certain week spots that can be exploited for our self defense benefit. Additionally if we look at the unit of force lbs/sq. we see that a given amount of mass transfer into a small area vs a large area results in a greater amount of force experienced. Someone who steps on your foot with a sneaker imparts less experienced force than the same person who steps on you with a high heel. Hitting effectively with power in combative training therefore requires both the elements of speed and precision. But which should you work on first. The military and law enforcement communities use a phrase that sums this up best. “Slow is smooth, smooth is fast, fast is lethal”. Precision starts by training slow, as you hit your target consistently at a slow speed you then are able to increase the speed until your accuracy fails. You stay at this speed of training until such time that your accuracy returns and you are once again consistently hitting the target at your new speed. This incremental process allows you to achieve a high degree of accuracy at high speed by programming muscle memory at achievable speeds. When you are taking your time and going slow you are giving yourself the opportunity to take corrective action. If you work to hit a target at full speed without first trying at slower speeds, you do not develop consistency in your motor skills and will not achieve the desired results consistently or quickly. Precision therefore should be focused on before speed. The way I present this to my students is: “Precision allows for speed, speed provides power”. This then begs the question, what tangible factor can a student of the arts work on to improve their precision? The effective use of mass transfer requires an intuitive understanding of body structure. Body structure is most directly, but not exclusively, evidenced by stance. The platform (stance) a student uses to apply a technique requires stability, consistency and durability. When the student is working on the precision of a technique it is important that they do so from a stance that is consistently strong. If the stance is unstable, inconsistent or collapses under duress it is impossible for a student to consistently program muscle memory. Through dumb luck they will occasionally hit the target, but we do not want our safety to rely on dumb luck, we are aiming for 100% accuracy. In the martial arts our stances provide the consistent platform on which our techniques are launched. In order for a student to establish consistent precision in their technique they must first develop consistency in the strength and durability of our various stances. Understanding of course that each stance has its own inherent benefits and weaknesses. Part of stance training is to understand which is the optimal stance to use with different techniques and circumstance and how to transfer effectively and efficiently from one stance to another. With a well developed platform the student is ready to more diligently and effectively work on developing their precision which allows for speed and produces power. What then is the critical element of all stance work, regardless of style, that we should establish first and foremost? The simple answer is posture. Poor posture, aside from being unhealthy, causes a cascading series of problem in the student’s technique. When the posture is bad it is impossible to have a stance that is consistent, stable and efficiently mobile. Poor posture is the critical visible element where most techniques begin to fall apart and problems arise. Once posture is corrected, the difficulty a student had hitting the target will often go away. Good posture allows for consistency and stability in the weapons platform (stance). When you see a student struggle with a technique it is easy to see that their stance is often bad as well. Bad stance is not the causative factor it is an indicator of a deeper issue. The causative factor is usually their posture. In the process of fixing their stance you will often unknowingly have them fixing their posture as well. If you focus on the posture first the stance will almost always correct itself. The more you can get the student to self correct their posture the quicker you can move them onto more advanced material. Everything we have discussed up to this point is visibly tangible or measureable. A force meter can measure how much power is being imparted into a target, an accelerometer can be utilized to measure the speed of a technique at impact, we can visually see if a target has been hit with precision, we can video or photograph the student to show them the quality of their stance and posture and directly show them how these factors affect their precision, speed and power. Is there an additional element that has a demonstrable impact on the quality of their posture? If we compare this example to building a house. We have framed in the house (stance) using good lumber (posture). The solid framing allowed us to put up the roof, make the rooms, install utilities, finish, paint and furnish. Making the house functional (precision, speed, power). We can do all this work but if the foundation is not sound in very little time the house will begin to experience problems and ultimately crumble well before its time. Most people think that our stances are analogous to the foundation of the house but this is wrong, there is something which offers a better correlation. The foundation of our martial arts house is core muscle strength. The below the surface strength of our bodies serves the same purpose as the below the ground foundation of our house. A person’s posture, balance, mobility and overall strength is profoundly dependent on their core muscle strength. Our core allows us to connect the disparate parts of our body into one unified whole. This allows us to increase the mass we strike with and the speed at which we efficiently move our mass. Developing core strength improves our posture which affects our balance and mobility. In short core strength develops our center, when you understand how to move your center and how you move your opponent’s center you will have the tactical advantage. If you invert this series of equations you create a tower. In a tower if one level fails all the levels above it also fail. You can have good stances but still be working on precision; if the precision is lacking then the speed and power are not relevant. You can be faster and stronger than your adversary but if you cannot hit the broad side of a barn your technique is not effective. Once we understand this tower we can begin to effectively and efficiently improve the quality of our techniques by looking to see which levels are well established and which are not, then put our focus on the level that needs our attention not the ones above it. If you are struggling with developing power in your technique begin to climb down the tower until you find the root cause of the problem. Most times when helping students I find the fault in the posture and core areas – with a little attention in these areas we see dramatic improvement in a short period of time. Please share this with your students and martial arts friends; my personal experience using this tower has definitively impacted my personal understanding of Tang Soo Do and also allowed me to better help my students. I hope it provides you with similar results.